Indie Norwegian studio Rocket Pocket Games reveals more about its psychological horror game Moons of Madness. Set to release in 2018 for PC and consoles, the H.P. Lovecraft-inspired title explores the psychological struggle of astronaut Shane Newehart and the supernaturals events that occur around Trailblazer Alpha, the first research facility on Mars. To incoporate the cosmic style of the author that inspired the developers, the game was built on three main mechanics which are: hard science, the exploration of mental illness through different modes and the Zone Outs feature that simulates the Lovecraftian madness. More details, screens and trailer inside. Tønsberg, Norway, Thursday August 10, 2017- Critically acclaimed independent game developer Rock Pocket Games announced today that their new H.P. Lovecraft inspired Martian tale Moons of Madness will blast off to PS4, Xbox One and PC in 2018. Moons of Madness is a first person, psychological horror game that explores the internal struggles of astronaut Shane Newehart and the supernatural events that occur on research station Trailblazer Alpha, the first scientific outpost on the planet Mars. • Combining hard science, based on meticulous analysis of NASA and Space X research, with Lovecraftian horror. • An innovative feature called “Zone Outs” that simulates Lovecraftian madness. 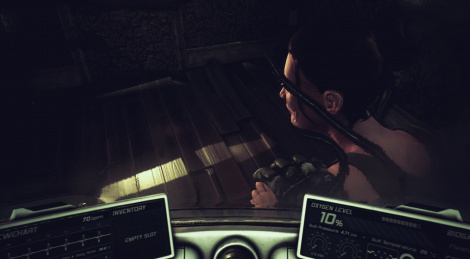 Players are exposed to hallucinations and visions they play through as part of the game. They have to understand what the visions are expressing as they foreshadow certain events mapping out the character’s history. • Exploring mental illness through various game modes without antagonizing the medical condition itself. The blood pumping reality wreck trailer which can be viewed here gives us a glimpse into Moons of Madness intricate conundrum where main character Shane Newehart lives on Mars an edgy life where the lines between reality and fiction can shatter and blur at any moment. walking simulator. WALKING. SIMULATOR! Oh the Horror! As it turns out games without action can have atmosphere.